DALLAS, September 30, 2016 – Each year, approximately 7,000 children age 18 or younger experience cardiac arrest outside a hospital with survival rates of less than 10 percent. Immediate CPR can double or triple the chance of survival. 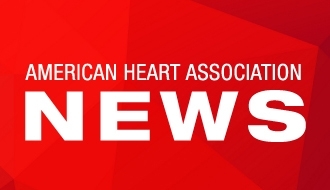 The American Heart Association – the world’s leading voluntary health organization devoted to fighting cardiovascular disease – announced publication of a policy statement advocating for state laws requiring the implementation of cardiac emergency response plans (CERPs) in K-12 schools. The paper, published in the September issue of School Nurse, comes one year after AHA convened a group of stakeholders to develop tools to assist schools in developing CERPs. Ongoing and annual review and evaluation of the plan. The AHA’s policy statement calls for state laws, regulations and related educational standards mandating these core CERP elements as well as appropriations to ensure that schools are able to fund these efforts. Currently, only four states, Connecticut, Indiana, Michigan and New Jersey, require a CERP in K-12 schools. Further, while 34 states require CPR training and hands-on practice as a high school graduation requirement, 15 states and the District of Columbia have no laws related to CPR, AEDs or CERPs in schools. “A cardiac emergency response plan can increase cardiac arrest survival rates by 50 percent or more by enabling a trained lay-responder team to take action,” said Kathleen Rose, RN, AHA volunteer, former member of the National Association of School Nurses Board of Directors and co-chair of the working group that authored the paper. Designed to be stand-alone guidelines or merged with a school’s existing medical emergency response plan, the CERP can be used by school personnel, healthcare providers, boards of education and school safety advocates to better prepare for cardiac arrest. A CERP toolkit, including the policy statement and an accompanying “Policy-in-Brief” can be accessed at http://www.heart.org/cerp.